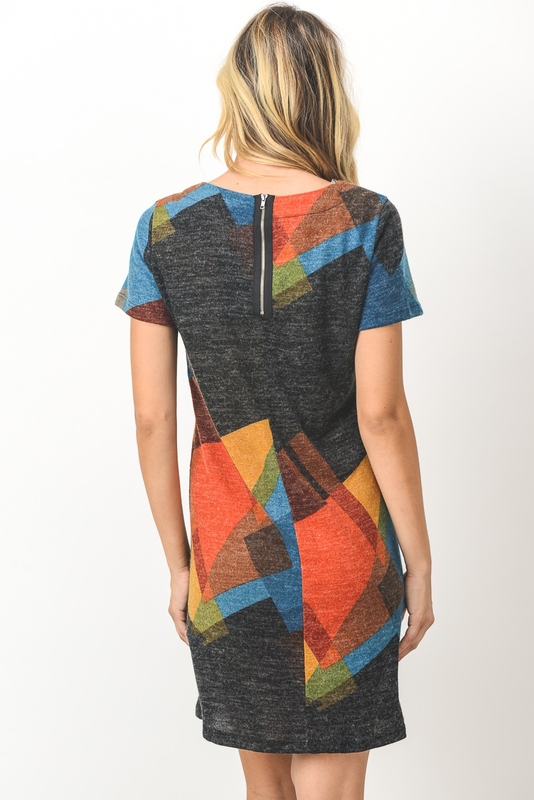 Abstract print short dress with back zipper detail. Unique print, no two dresses alike. Soft, angora-like fabric. The Abstract Shift Dress is a unique work of art you can wear. Each dress has a slightly different pattern, so no two are alike. 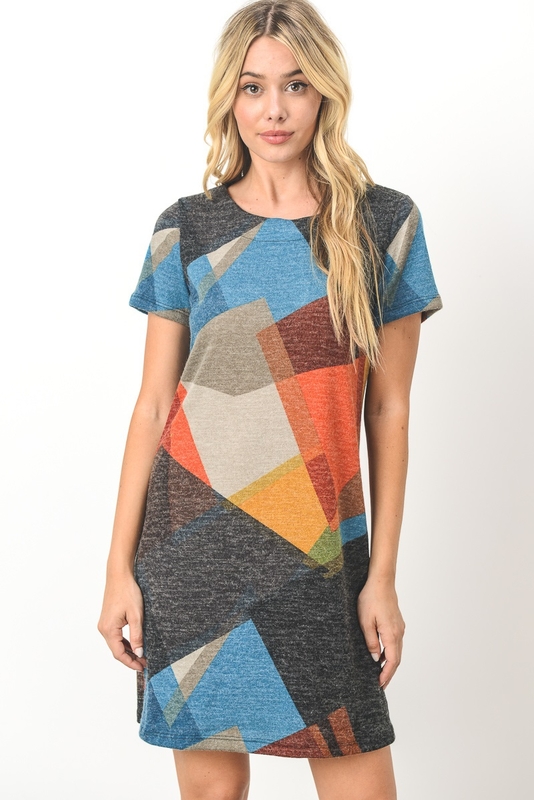 The pattern of this dress is a color block with shades of blue, orange, beige, and yellow. You’ll really love these colors in the fall, but we feel you could wear this dress all year round. The material is a poly-spandex blend, which has a fuzzy texture much like a soft angora. 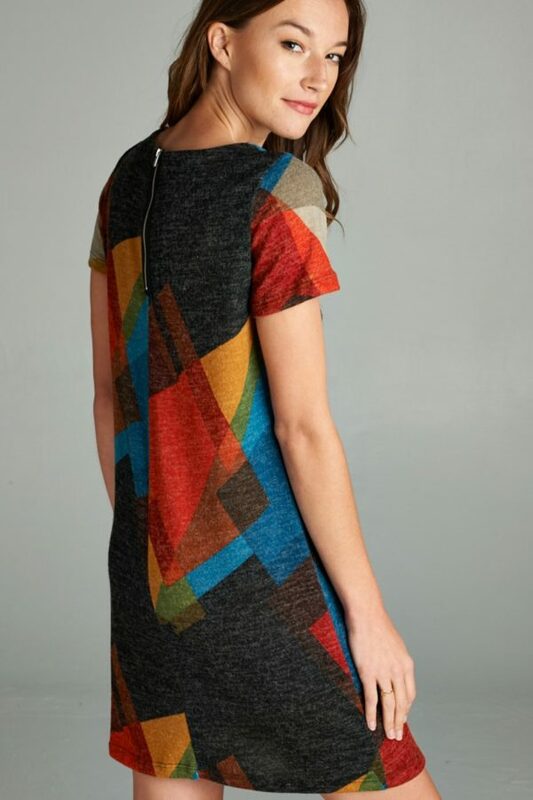 The short sleeves make this dress ideal for layering, or you could wear it as-is for warmer days. 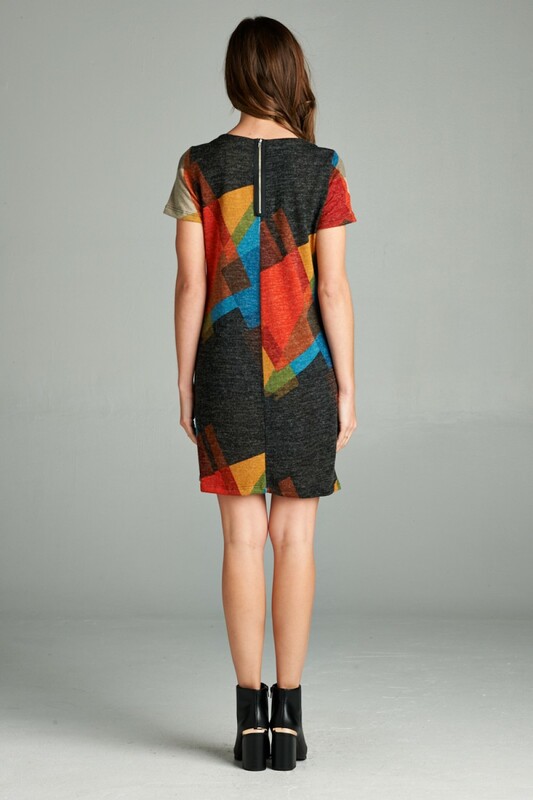 We really like how this dress looks when paired with a moto jacket, a pair of booties, and colorful tights. 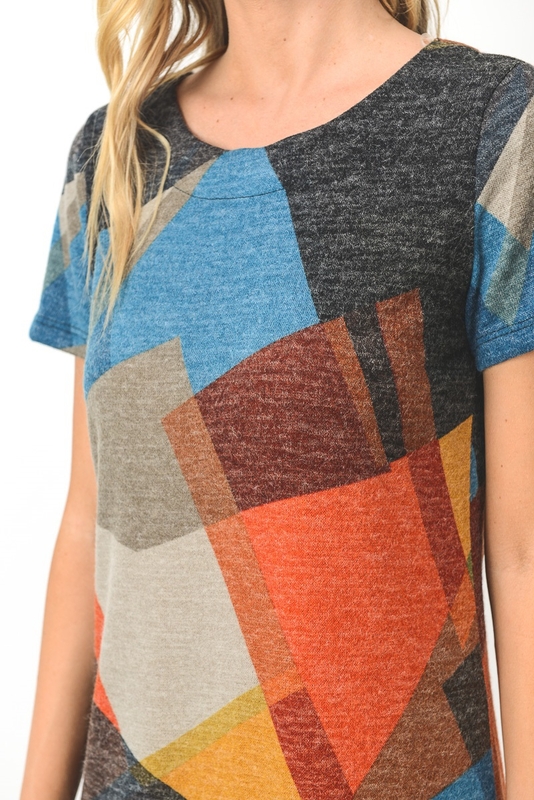 You could also pair it with a light scarf and booties for warmer days. 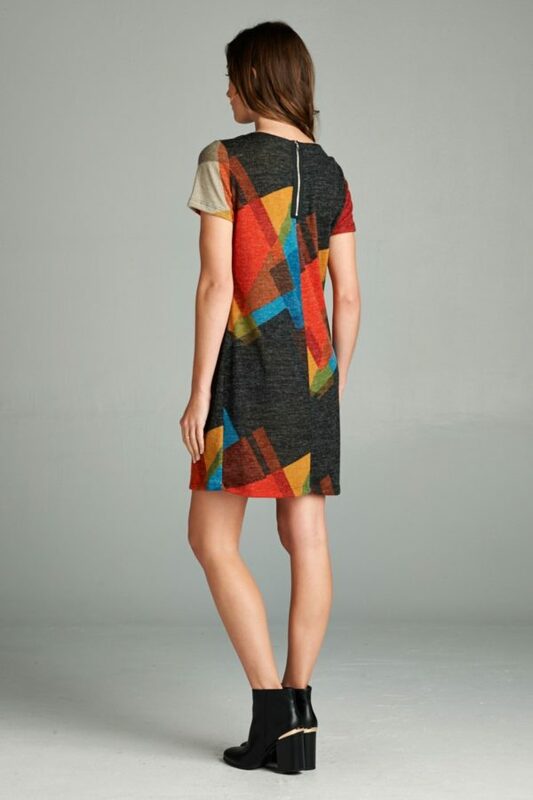 You’ll find this shift dress is comfortable to wear for casual events like a weekend trip. The material is soft to touch and quite breathable. Like any classic shift dress, this dress has a straight profile that fits loosely at the waist and a little tighter around the hips.